Applications are invited for projects that create or improve opportunities to play sport and get active. Grants are available for projects which create or improve opportunities to play sport and get active in local communities. This presentation was given by Community Development Officer, Lucinda Leonard, at our AGM (Annual General Meeting) on Weds 12th July. Funding: Lakenham Sport for Change (Lakenham and Tuckswood) - deadline 10th July. 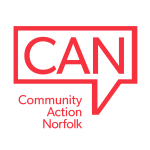 Grants are available for physical activity projects that will benefit the residents of Lakenham and Tuckswood areas of Norwich.